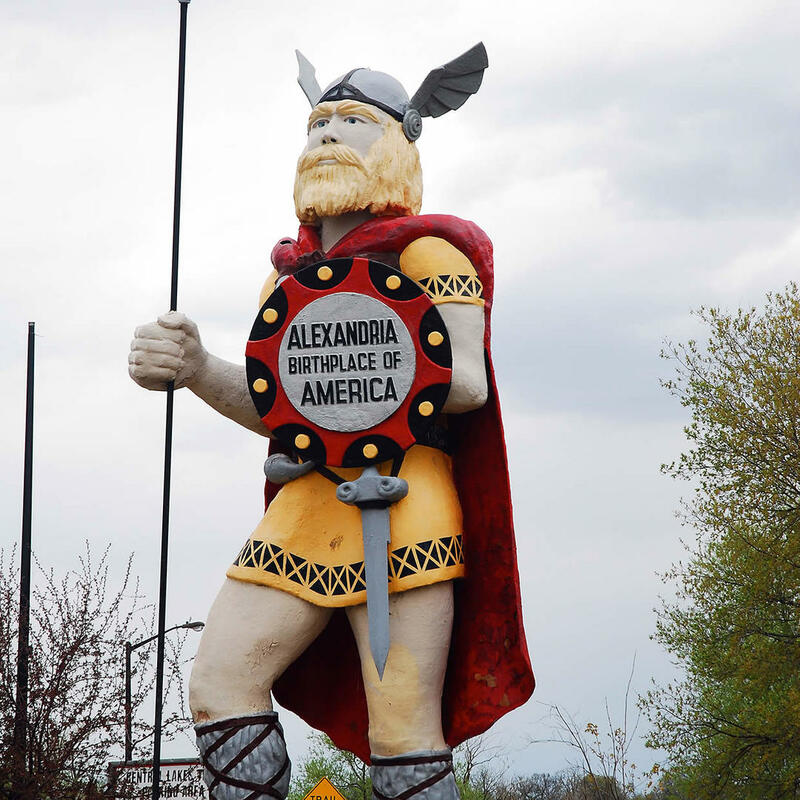 Alexandria, Minnesota believes it was visited by Vikings in 1362 which is one reason that the Big Ole Viking Statue was built in 1965; the other reason - it was a second year addition to the 1964-65 New York World's Fair! This fiberglass sculpture by Gordon Schumaker was moved to Alexandria after the fair closed where he was placed on a traffic island. Standing 28-feet tall he made an impressive sight! In 2002, aging Big Ole was moved north to a small park where he was given a spot less stressful for his age. Then, in 2015 the town raised $26,000 for Big Ole's repair. Numerous cracks had been found in his body from years of mistreatment from vandals, the weather, and time. Big Ole was given a total makeover and now he looks as good as when he first arrived in Alexandria!